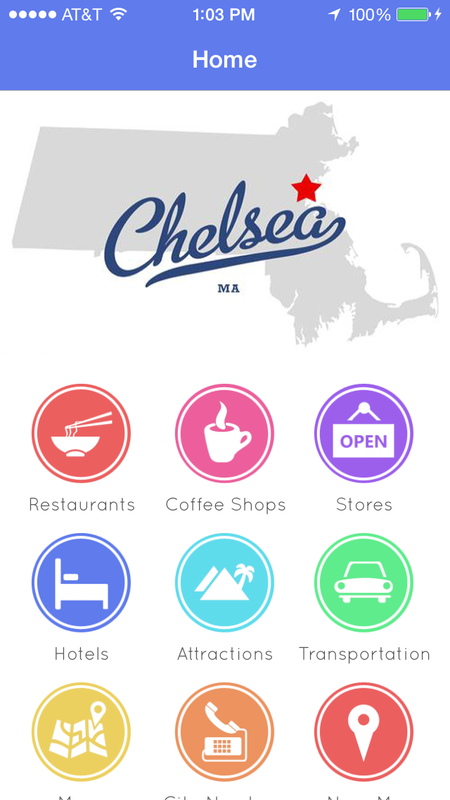 I designed a demo app for the city of Chelsea, MA, who was interested in creating an iPhone app to replace their city's standard paper brochures. The app would provide visitors and residents historic information about the city as well as attractions and eateries. The app has not gone into development stage, but I thought the demo came out really cool so I wanted to share this design piece with my clients.